Today I'm doing a two-in-one review: Ballast Point's famous Sculpin IPA as well as their Grapefruit Sculpin IPA. Many years ago I had friends who would rave about drinking this beer while in the US, but for me - I never got to try it until recently as it's now available in North Dakota. 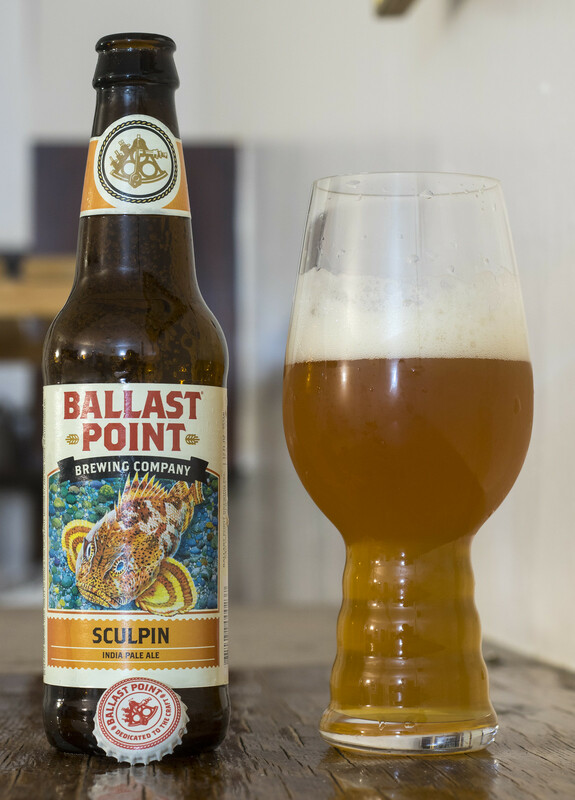 Sculpin IPA is described as: "A great example of what got us into brewing in the first place. 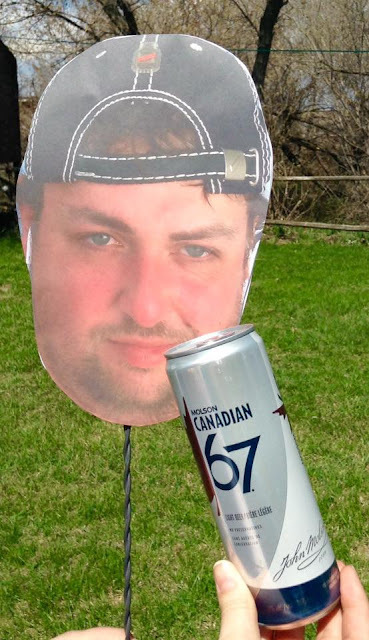 After years of experimenting, we knew hopping an ale at five separate stages would produce something special. 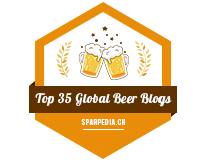 The result ended up being this gold-medal winning IPA, whose inspired use of hops creates hints of apricot, peach, mango and lemon flavors, but still packs a bit of a sting, just like a Sculpin fish." Appearance: This is a gusher! I recall this beer being a bit over-carbonated but I don't remember any of the other bottles of this beer gushing on me like this one did. Once I'm able to get the beer into the glass, the beer has a cloudy orange body with a light amount of carbonation in the body, followed by a thick beige head of foam on top that quickly diminishes just to leave behind a bit of a glass lacing that seems to be layered quite well. Aroma: Definitely smells better in a proper glass than in the bottle or a Solo cup like I did before - it has a tropical sweetness to start it off - notes of pineapple, lemon, orange peel and apricot. There's a moderate hop presence that's mostly tropical.. but there's also a bit of a hint of pine for bitterness, and a hint of pepper for spice. At the end, I get a hint of a butterscotch-like aroma. So far, this reminds me of the West Coast IPA trend that was finally taking off in Canada right before the popularity of New England IPAs took over every single trend. Member those days? 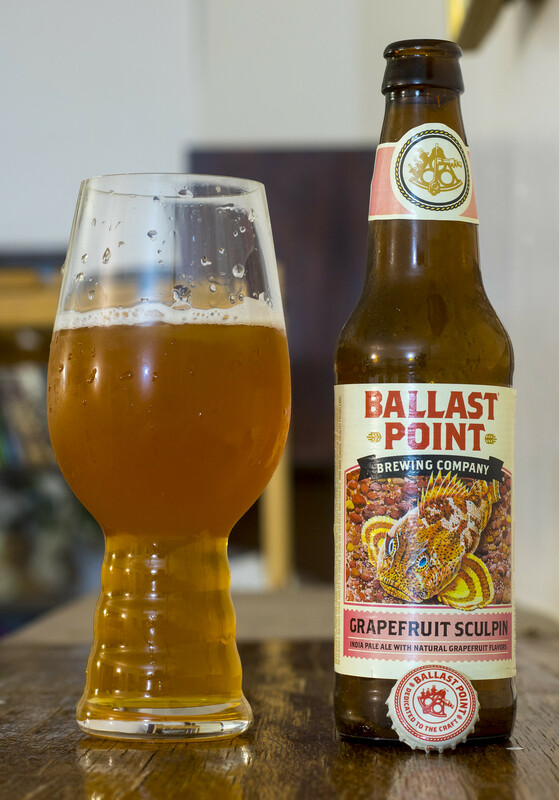 Ballast Point describes their Grapefruit Sculpin as: "Our Grapefruit Sculpin is the latest take on our signature IPA. Some may say there are few ways to improve Sculpin’s unique flavor, but the tart freshness of grapefruit perfectly complements our IPA’s citrusy hop character. Grapefruit’s a winter fruit, but this easy-drinking ale tastes like summer. " Appearance: I just finished Sculpin only a few minutes ago and so far this beer looks near identical to the regular version of Sculpin.. but without the gushing! The beer pours a cloudy and orange-bodied with a light amount of micro-carbonation. The head is very minimal with it being a light tracing of bubbles mostly close to the side of the glass.. there are some bubbles in the middle of the beer but not enough to cover the beer at all. Aroma: The first thing I got from this beer was the note of pepper - I did notice some peppery spiciness in the first round, but this one is just.. there! The beer is fairly tropical just like we saw from the regular Sculpin, but with the addition of grapefruit to it. Aside from the grapefruit, I get orange peel and a hint of mango. I'm trying to pick out the hop notes in this beer, I'm not really getting a piney presence, a floral presence or even a grassy presence.. mostly a tropical presence with a sprinkling of black pepper. There's one aroma I keep getting that I can't put my nose on.. until I realize it reminded me of Jones Soda's Orange Cream soda.. I've already noticed the orange peel but there's a bit of a creaminess that I didn't expect this time around. Taste: The hops finally make an actual presence after being mostly absent in the aroma, I'm getting a hefty amount of pine bitterness that leaves behind quite a bit of a bitter aftertaste that lingers a good deal more than what I saw in the Sculpin. The presence of black pepper is here yet again, but it's not something to cringe at, it gives the beer a bit of a sting to the taste buds but it's not like you're drinking a beer with a pepper shaker added (thank goodness). The tropical notes are pretty mellow here, I do get a bit of a grapefruit presence to it, but it's pretty neutral (aside from the peppery spice that I tend to get out of actual grapefruit fruits). There's a light apricot presence, maybe a hint of lemon.. but that's about it. As the beer warms up a bit, I do get more of the tropical presence of grapefruits.. but it's light-to-mild at best. So.. between the regular Ballast Point Sculpin IPA and the Grapefruit Sculpin IPA, which one would I suggest? While I initially liked Grapefruit more and it has some interesting notes to it.. I just found the classic tasted more like something I'd buy when shopping for IPAs at the liquor store. Both were great, but you can't beat a classic!